Pimms ,tennis and great shopping! 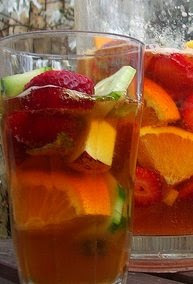 June is when Wimbledon kicks off and so as an homage we'll be serving PIMMS at our next craft market on Saturday 27th. From 11 am onwards. As well as free cocktails,tea and coffee there will be a few great offers to help you celebrate...after all it is a hand made summer and we've got tons of beautacious hand made gifts! Bo Bangles, jeweller extraordinaire, will be offering a 15% discount on selected pieces and more on other special items, Munano will offer a 15% discount if you mention the secret code word " midnight herring" on all forest creatures and Ellen Mair,the talented Welsh jeweller will also have a few selected items on sale. With her gorgeous hand wrapped silver jewellery and semi precious stone accessories I'm sure you will be tempted! A ittle birdie has mentioned something about raffling off free Brownies. OK that might sound a bit,HUM, but I assure you once you've tried these brownies you'll never eat any others! Draws for these lush edible prizes to take place at :noon, 2:30 pm and 5 pm. More offers to be confirmed on the day. East London Craft Guerrilla goes to Grimsby! We're absolutely stoked to have been invited by the talented people behind cut-click magazine to participate in their 1st anniversary exhibition! The exhibition runs from the 30th of June to the 25th of July at the Abbey Walk Gallery in Grimsby. If you're around that neck of the woods,pop in and have a peep. Well done Cut-Click,happy birthday and may you be around for a whole lot longer! 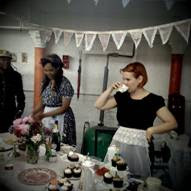 This Saturday and Sunday "Angel and Tai's Vintage tea Service" will be at the Tea Rooms at the Truman Brewery in Brick Lane. 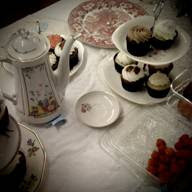 A great excuse to get out of the house and celebrate all things vintage! 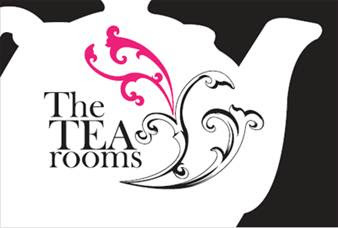 You'll get a fair share of vintage clothing,apparel,collectables and best of all enjoy a spot of afternoon tea at this pop up vintage tea service. It's a lovely new addition to the Truman's Brewery markets. 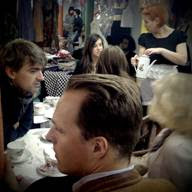 A plethora of yummy cakes and teas served by these lovely ladies in one of London's best and friendliest new markets. Well one needs a rest for all that thirsty work which is shopping!!! There are loads of pop up enterprises "popping up"(excuse the pun) across London but we're assured that it's an American term that started about a year ago in New York ranging from boutiques,tea parties to restaurants and we love what these two lovelies have created in our capital: a fun, gorgeous and lush tea time experience! 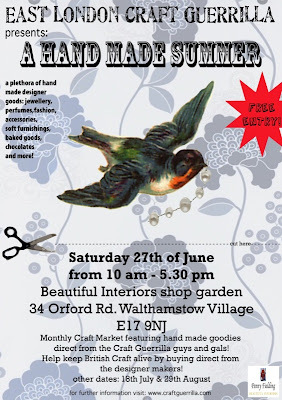 Craft Guerrilla June Craft Market...A hand made summer!